By Dr. Kelly Brogan, M.D. I’ve never been very politically minded. I’m not a conspiracy theorist. I’ve never been arrested and I don’t like to get in trouble. I do like, and always have, to think for myself. I’m a natural skeptic and pragmatist. These days, there are a couple of issues that are getting under my skin, and connecting the dots between them helps to establish a framework for a truth in science “sniff-test”. Be warned, you may find that many arenas in which you have come to believe that you were being protected by your authority figures and government, in fact, you’ve been led down a blind path, and will be left there to fend for yourself when it all goes down. That’s why I advocate for consumer empowerment and thoughtful decision-making about what we put in our bodies. Despite this lack of effort and incentive to support safety data in these two arenas, both have suffered a signal of harm that should have activated the precautionary principal. 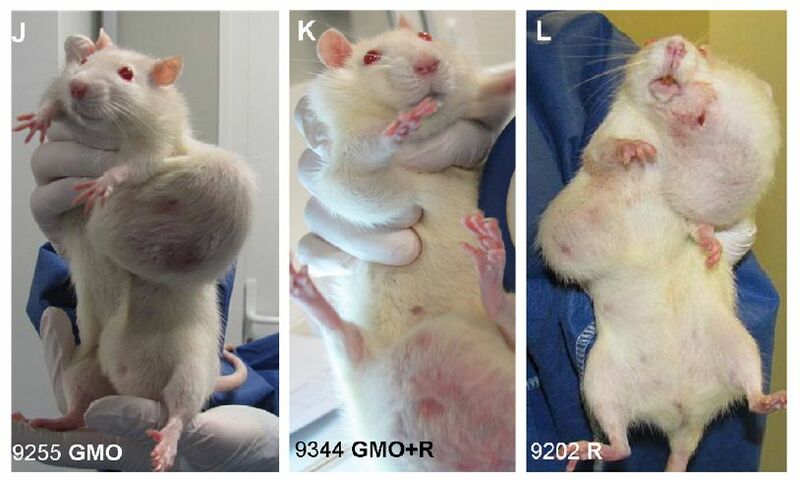 Monsanto monitored GM and non-GM fed rats for 90 days, and declared that changes in liver and kidney function were not clinically significant. Seralini et al, copied this design, but extended the observation period to years. Take a gander at what happened to these animals. The first tumor sprouted at the 4 month mark. Multiple animal studies have emerged mirroring this study’s provocative findings. Glyphosate, the herbicide that has been sprayed in escalating quantities, is an endocrine-disruptor that has been linked to obesity, liver disease, birth defects, autism, and cancer.This is the most enlightening exploration of its toxic mechanisms. Bt-toxin in GMO corn has been found to puncture intestinal cells and circulate into fetal tissue. Whether in the realm of neurodevelopment, death, autoimmunity, or even susceptibility to the disease intended to provide protection from, vaccines have been demonstrated to harm and several billion dollars have been paid out to victims through the National Vaccine Injury Compensation Program. Patterns of chronic illness such as atopy and autism have been demonstrated to correlate with vaccine uptake and prospective study of neurodevelopment in monkey’s has demonstrated injury. Seralini was silenced. His work was roundly attacked, censored from the media, and demands from industry ties for the paper to be retracted from its journal of publication. Several months after Seralini’s paper, Richard Goodman, a former Monsanto employee was fast-tracked to the position of Associate Editor for Biotechnology. With Monsanto now at the helm of influential medical journals, the prospects for publication of independent research are diminishing. 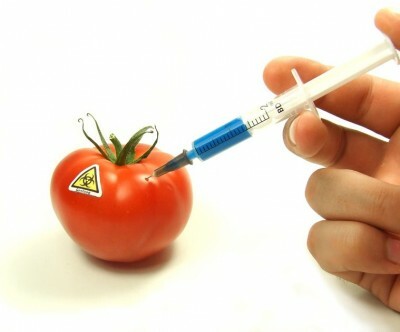 The “Monsanto Protection Act” was designed to provide legal immunity to GM technology so that citizens could never litigate on the grounds of harm secondary to GM food exposure. In this way, corporations would be protected above farmers and citizens. The National Vaccine Injury Compensation Program was established in 1986 to assume liability from corporations so that any incentive to police the safety of their product was roundly eliminated and civilians could only engage in a non-jury-mediated “trial” of red-tape and rejection as a means of seeking justice for injury. The list of interchangeable figures between the CDC, pharmaceutical industry and Vaccine Advisory Committee features more conflicts than exceptions. Notably, in January 2010, Julie Gerberding, former director of the CDC, became the President of Merck’s vaccine unit. In January 2011, Elias Zerhouni, former director of the NIH became President of Sanofi-Aventis’ research labs. These relationships are known to be kindled far in advance of the job acceptance. The most outspoken mouthpiece of today’s vaccine schedule is Paul Offit MD, Merck employee and Rotavirus vaccine patent holder. This paper details the many layers of profit-motivation that cloud regulators’ judgment. Here’s a little video if you’d rather not read. These arenas and their implicit overlap as discussed here, are slated to unite in a number of in-development GMO-containing vaccines. We are already part of a vast, uncontrolled experiment, and this may add a layer of complexity that will be the ultimate straw that broke the camel’s back. If you’re anything like me, you want out of this deal you never signed up for. There is a way out. Make informed choices, trust your instincts, vote with your wallet. Dr. Brogan is allopathically and holistically trained in the care of women at all stages of the reproductive cycle experiencing mood and anxiety symptoms, including premenstrual dysphoria (PMDD), pregnancy and postpartum symptomatology, as well as menopause-related illness. Articles by: Dr. Kelly Brogan, M.D.